Wherever your expedition may take you, Alpenbooks contain all the information you need for a successful venture. From climbing guides and national forest chronicles to atlases and gazettes, all the knowledge you could possibly need is at your fingertips. And we are all very well aware that knowledge is indeed power. Alpenbooks navigation guides steer your encounters with Mother Nature so that you know exactly where to go, when to go and how to get there. Since your wireless coverage can’t always be with you, Alpenbooks navigation guides are easily transported with you as they have the ability to hang out in your pack and burst onto the scene any time you need to be pointed in the right direction. 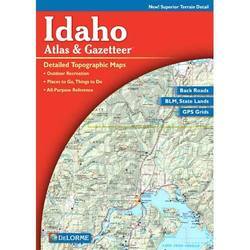 Take the Alpenbooks Washington Atlas and Gazetteer for example. Loaded with detailed topographic maps, this book has all kinds of info on recreation sites, back roads, GPS grids and emergency/rescue tips. In a state that is packed with adventure, you need an atlas that is able to uncover them all for you. Don’t stop at the state line either, because Alpenbooks produces this level of quality info for other exciting states as well. If big mountains call your name, remote alpine crags whisper to you or multi-pitch ice climbs have got your number, then you need to discover Alpenbooks books like Earthbound Sports Rocky Mountain National Park, The Climber’s Guide: High Peaks. Whether you stock it in your library or your pack, books like this have the power to inspire, develop and transform an encounter with nature like you have never before experienced. Comprehensive climbing guides similar to this take you from low elevation cliffs to scenic treacherous summits and everywhere in between. Wherever your climbing expeditions lead you, Alpenbooks has the information you need to dominate every aspect of your ascent. Monumental peaks like Mt. Shasta are composed of a vast expanse of possible situations. If you go prepared with a volume like the Alpenbooks Wilderness Press The Mt. Shasta Book, then you stand the best chance of having the best time possible. As the ultimate guide to successfully hiking, climbing, backpacking and skiing, this book immerses you in details about every activity you could possibly take on in the Mt. Shasta wilderness. Take hold of all the information, details and knowledge you need to brave the outdoors and create experiences that will last a lifetime with Alpenbooks.